Many people we have come in contact with have asked, “What kind of church is Liberty Valley?” And with today’s variety of congregations, it is wise to know beforehand what kind of church you may visit. We are a bible believing, teaching ministry that endeavors to make average people above average students of God’s Word. We generally teach in a expository method, exposing what is being taught within a passage of scripture. Learning what the author is writing about in view of his era, culture, and custom. First, learn what the text is saying, then to be able to apply it to our own life and times, with relevance. We on occasion, purposely take a deeper look to try to stretch the listener for spiritual growth. 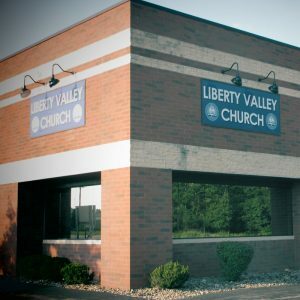 We started Liberty Valley Church because we wanted to bring expository Bible teaching and preaching to the area. 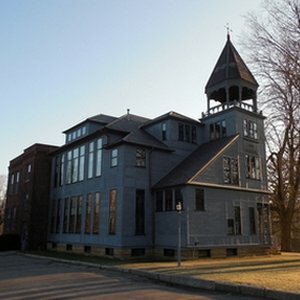 Our first service was on July 31, 2005, in a small rented facility in Peninsula, Ohio, with a grand total of seven attendees—Pastor Jeff Tauring, his wife Jen, and Kelley and Kaitlyn Tauring; Dave and Kristyn Senk; and Doris Draves. Two weeks later, we were excited to have twenty-six people attend our third Sunday service. Our summer baptism service on the banks of the Cuyahoga River is always a joyful occasion. The first was August 13, 2006, with seventeen being baptized and sixty-four in attendance. We had specifically prayed for the Lord to send us people who did not know Him. We didn’t want to take Christians from their churches! God has blessed us with exactly what we asked. It has been exciting seeing so many people come to the Lord. But then we got to the point where we asked God to send us a couple of seasoned Christians to come help! 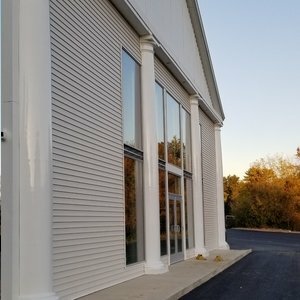 After two years of meeting in Peninsula, we outgrew the building and began renting a larger facility in Macedonia, Ohio. Our first service in Macedonia was on October 1, 2007, with fifty-one in attendance. We stayed in that building for eleven years. God is so good, and He has blessed our congregation so abundantly. On December 16, 2018, we had our first service in our new building in Northfield with 76 attending. Our new building sits on nineteen acres of land, and we pray that many will be saved through the ministry and that God will use the building and the land to build His kingdom and bring glory to His name.